3. Take one of the pieces and round the edges. 4. 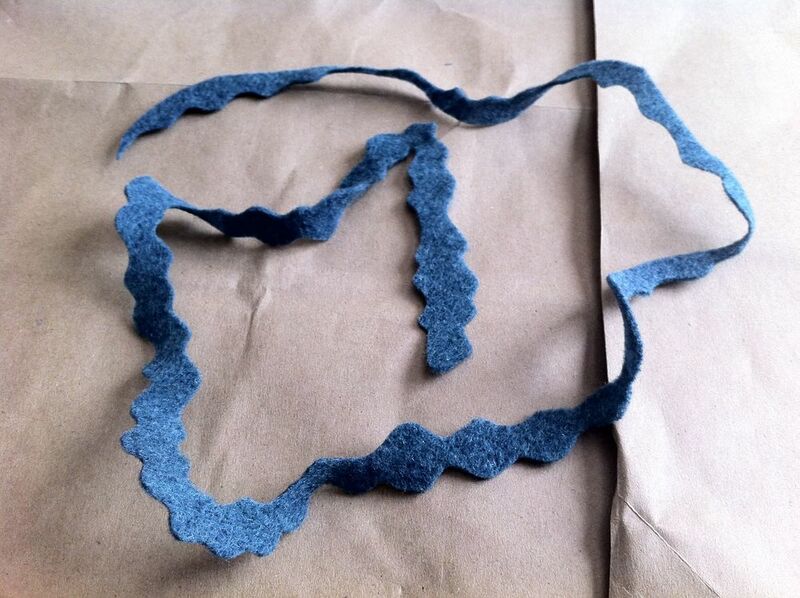 Begin cutting a wavy line about a 1/2" wide all the way around the felt. 5. Be careful to keep the piece in a continuous line. 6. Take one end of the felt and tightly twist into a circular flower. 7. Patience will help you during this process as it may unravel, or fall out of your hands. Ask me how I know this! 8. 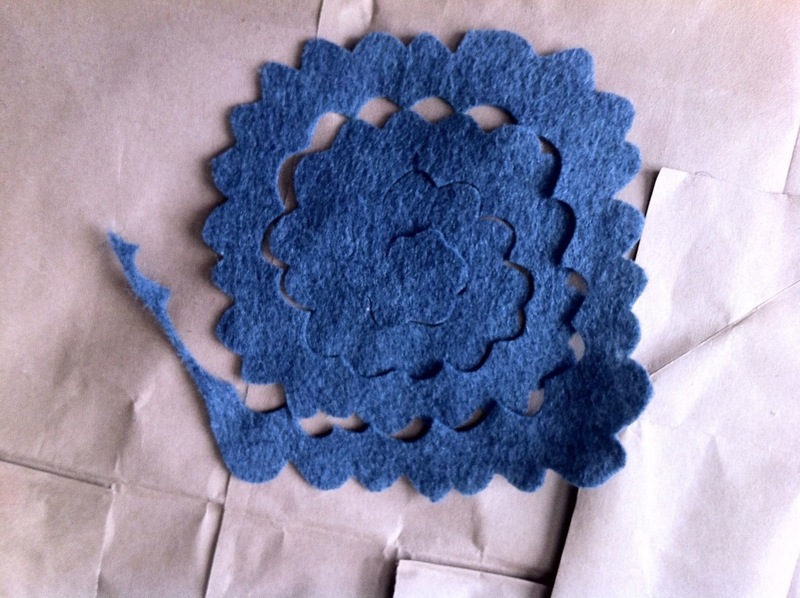 Once the flower is wrapped, cut a piece of the leftover felt into a round back. 9. Add glue to the back of the flower and affix the round back. 10. Admire your handiwork or make a few more to place on a wreath!